Welcome to Albinas' Official Website! 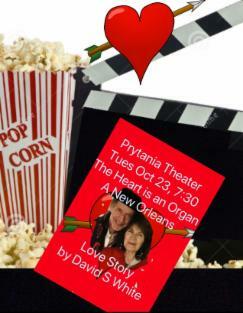 We are very pleased to announce the world premier of the David White film "The Heart is an Organ" on October 23rd at the Prytania Theater at 7:30 PM. This is a true New Orleans Love Story. Albinas has retired as organist at Trinity Episcopal Church NOLA after 29 years of devoted service but he and Manon still orchestrate the Trinity Artist Series and the Bach Around the Clock and several other concerts - such as the Lenten Jazz Vespers series and weekly Organ and Labyrinth! Latest news link here. 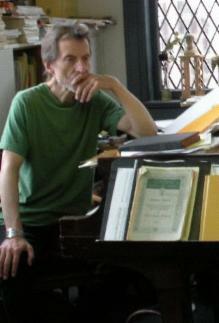 Albinas received classical music lifetime achievement award. Have you seen the latest issue of Offbeat? Read about Albinas in this link here. 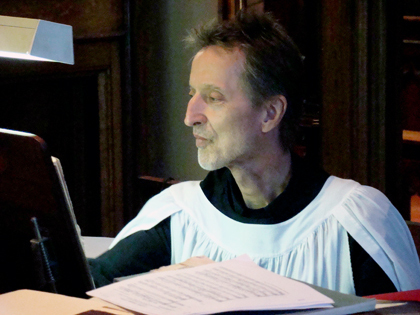 Albinas is a most talented musician, exceptional organist, choir director, eager performer, educator, scholar and Director of Music Ministries at Trinity Episcopal Church. Here is a copy of his latest resume. He is magic on the organ. With a talent for the instrument that he has developed so very passionately over the years, few of his contemporaries can equal his creativity, enthusiasm, style energy, and skill. On this website, you will learn about Albinas and his wife Manon. It will highlight Albinas' background, education and diverse musical experiences, introduce you to Manon and other members of his family while posting the schedule of upcoming events, performances, with relevant special announcements. All are welcome to attend these fabulous, spiritual and uplifting events. And they are free of charge. In these events, Albinas with Manon have redefined and re-imagined the relationship between musical performance and community gatherings. For more information, please click on the navigation bars to your left. If you find you need additional information, kindly submit to us the feedback form located on our Photo Gallery page or contact Albinas or Manon directly. We hope that this site will keep you up to date on all of the scheduled events and let you know a little more about Albinas and his wife, Manon. This couple is passionate about the arts, music, and the organ and have a mission to bring music to everyone and everywhere - for it is known to refresh the soul. Albinas. Copyright, 20012. All rights reserved.